Numerous archaeological excavations were carried out by successive teams of the Museum of Prehistoric Anthropology of Monaco. Nowadays, this work and the analysis of the whole collections still continue (E. Rossoni-Notter, O. Notter, P. Simon, S. Simone). 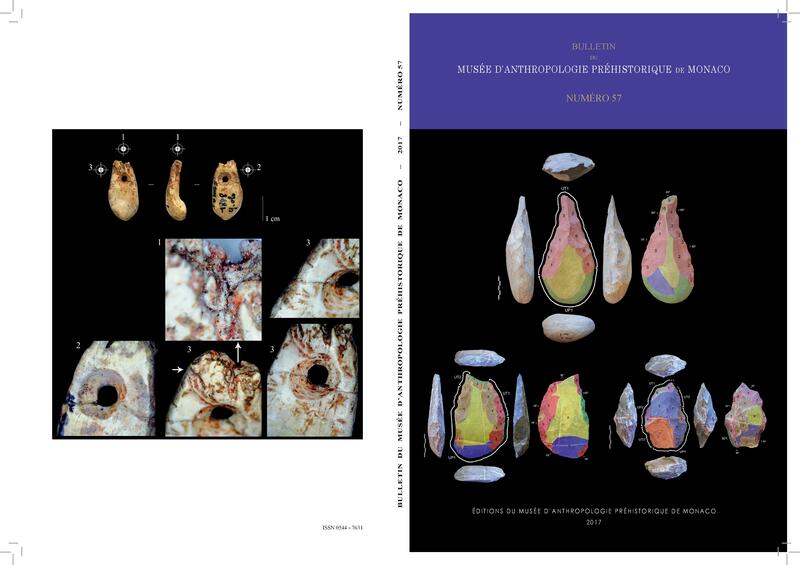 The first excavations (Villeneuve, 1916-1920) and studies (Barral and Simone, 1982-1987) provide further information on three major periods of occupation separated by stalagmite floors: Lower Paleolithic (Fosse), Middle Palaeolithic (Crypt) and Upper Paleolithic (Chambre). The first human traces in this cave could be dated between -400 000 to -200 000 years, when the interglacial forest had transformed into a steppe environment (microfauna). The first occupants (Homo erectus) hunted mostly deer and ibex and used large flakes and handaxes. Spherical pebbles were also associated. Around – 60,000 years ago, the climate was very cold and Neanderthals were present. They left some typical tools (points and scrapers) and remains of ibex, deer, reindeer, wild boar, horse, ox. The presence of wolf, fox, cuon, bear, leopard, hyena, indicates that the cave also welcomed carnivorous predators. From – 37,000 years, three Upper Paleolithic cultures are noticed in the site: Proto-Aurignacian, Aurignacian and Gravettian. 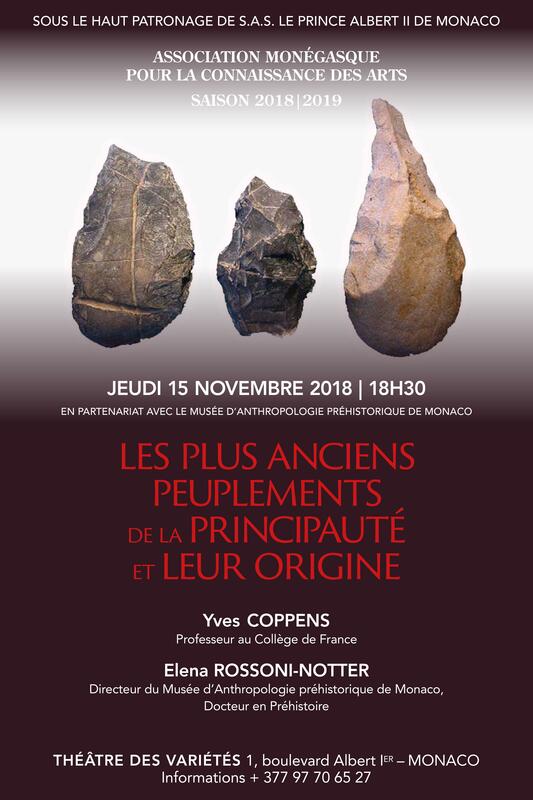 The presence of stone and bone industries and art (pigments of red ocher, incised bone, perforated canine or deer pendant) suggested Cro-Magnon (Homo sapiens) culture. Associated fauna includes ibex, rhinoceros, horse, wild boar, deer, cuon, wolf, marmot, reindeer and many birds. Nowadays, research work is still in progress: field and laboratory (E. Rossoni-Notter, O. Notter, P. Simon, S. Simone).